If your home has been damaged by fire, it is important that you know the right steps to take and which ones to avoid. 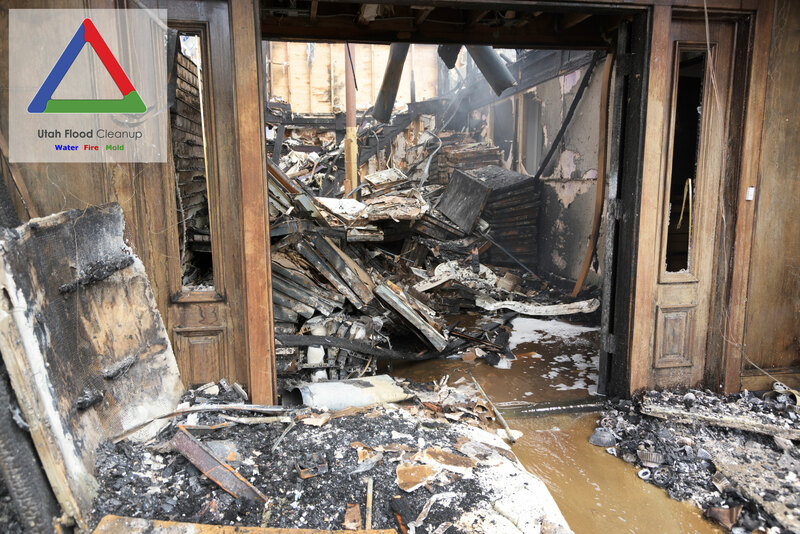 Taking the correct steps following fire damage to your home, including hiring a fire restoration company, can help prevent more long-term and costly damage to your property. Make sure to contact us as soon as possible if your home has suffered damage from a fire, flood, mold or any other disaster. We are available to assist you 24/7. Safety is the top priority: First, never enter your home until you have been given permission by fire safety authorities. Once you have been given permission, always take the appropriate safety measures, which include wearing gloves and respiratory protection. As the Institute of Inspection, Cleaning and Restoration Certification (IICRC) explains, soot residue from fires can lead to respiratory problems and other serious medical issues. Keep movements in your home to a minimum: This is for safety reasons and to prevent airborne soot particles from getting into upholstery and carpets. Always wear a respirator if you have to be inside your home. Open windows and put in fans. For ventilation, open the windows and put in box fans. This will help push out contaminated air and dust, while limiting more extensive smoke damage and the risk of injury. Vacuum loose soot from upholstery and carpets with a HEPA (High-Efficiency Particulate Air) Filter. High efficiency vacuums with effective filtration systems work to stop soot from being pushed back into cleaned spaces. Make sure to change the filter on a frequent basis. Bedding, clothing and other materials should be washed or laundered. An alkaline cleaner can be used on washable materials; it works by neutralizing the acid in the soot. Finer materials should be sent to a professional dry-cleaner who has restoration cleaning experience with smoke-damaged clothing. Make sure the dry-cleaner cleaner knows the proper methods for removing soot and smoke odor and has the required equipment. Don’t use electrical appliances, including TVs, stereos and ceiling fans until they have been properly cleaned and checked. Don’t eat canned goods or packaged foods. These items may have become contaminated, due to intense heat, smoke and soot exposure. Don’t toss out damaged goods immediately. Make sure to take a full inventory first that includes all items before discarding anything. Don’t wash surfaces, including walls and ceilings, before first getting advice from a professional, who knows the proper methods for removing soot. Don’t send smoke-damaged articles to a regular dry-cleaner. The wrong cleaning methods on smoke-damaged clothing can worsen the smoke odor and make it more permanent. Don’t wait to hire a fire restoration company. The longer you put off the cleaning and restoration process, the higher the costs and extent of damage to your home and property. 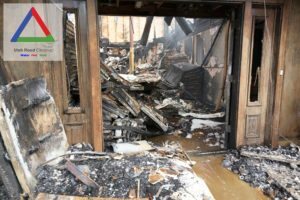 In addition to providing fire damage restoration services, Utah Flood Cleanup offers water damage repair and mold remediation services. 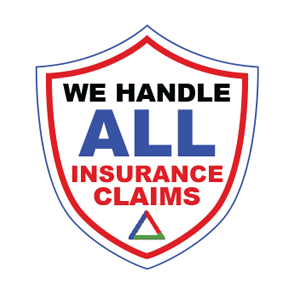 We are an experienced damage restoration company and our restoration experts are certified by the IICRC. We will carry out a comprehensive damage restoration program that allows you to return safely to your property. Our solutions include emergency board up, cleaning for carpets and upholstery, sewage cleanup, air duct cleaning and more. 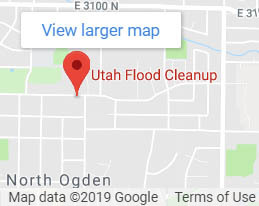 For reliable and efficient cleanup and restoration assistance, contact Utah Flood Cleanup. Call us at 801-416-2666 for a free phone consultation. 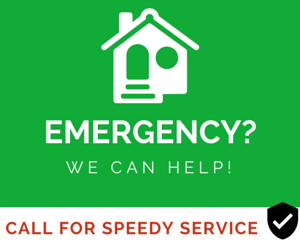 We offer emergency assistance 24/7. We also offer a free inspection on water damage covered by insurance, affordable financing options and a 5-year guarantee on our work. Since 1992, we have been serving Ogden, Utah, and the surrounding areas.